SwitchVPN is an US incorporated company which walked into the VPN industry in the year 2010 offering great services to their customers. This VPN provider has managed to set up their VPN servers in most of the prominent places round the globe in a very short time period. They have an excellent 24/7 customer support to help and solve the issues related to their VPN service. Their cheap prices and 30 days money back guarantee makes this VPN provider far better than many other VPN giants in the market. Let’s have a detailed look over other sides of this VPN provider in our SwitchVPN Review. SwitchVPN offers 2 plans namely the Pro VPN and the Business VPN. Both of these contain sub categories depending upon how long you want to subscribe to their service and differs only in the prices for the subscription. The Pro VPN Package is for everyone who wishes to access the blocked websites over the internet. Choosing one of the following packages you can easily stream, watch, listen and use the internet in your own terms. 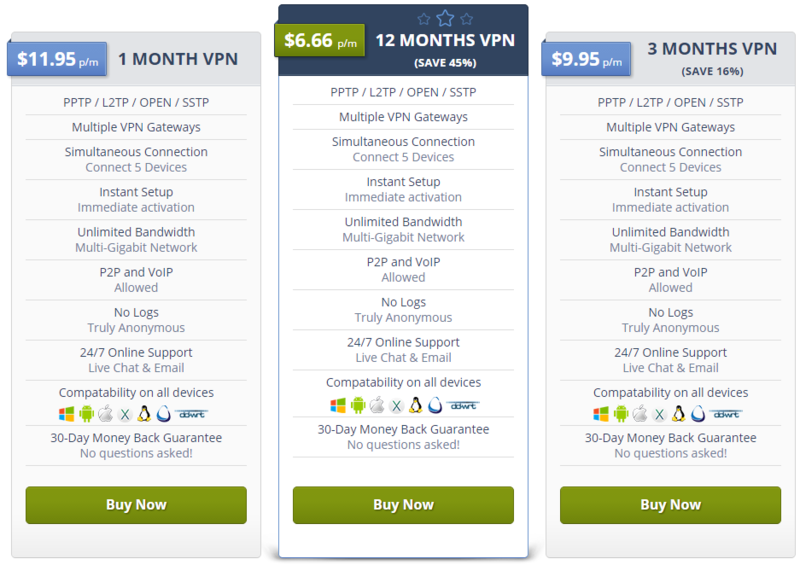 The 12 Month VPN Plan will cost you $6.66 per month. Subscribing to this package, you can save 50% and enjoy freedom over the internet with a peace of mind for 1 year. You will have to pay a total amount of $59.4 after every year which is relatively cheaper and fairly affordable than any other VPN provider. 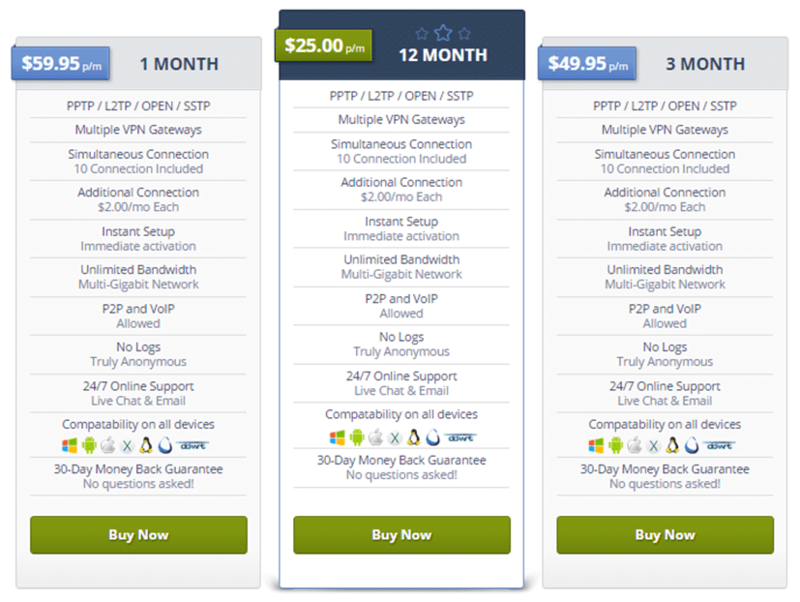 The 6 Month VPN Plan is available for a payment of $9.95/month. Providing 30% discount over this package, your half-yearly bill will be $41.7. This package allows you 5 simultaneous connections over all mainstream devices at multiple VPN gateways. You will only have to spend $11.95 every month for the Monthly VPN Plan. Although, there is no any discounts offered on the subscription for this package, but the 30 days unconditional money back guarantee with no questions asked cover up this aspect well. The Business VPN Package is for the highly business professionals who have established their business widely around different parts of the world. They provide 3 subscription packages for the business plan with more enhanced features than the normal one. The Monthly Plan comes at $59.95/month, the 3 Month Plan costs you $49.95/month while the 12 Month Plan is available for $25.00/month. They provide 10 simultaneous connections at a time with an offer to increase the number of multi-logins at a rate of $2.00 for each connection per month. We are glad to mention their long-term refund policy in this SwitchVPN Review. SwitchVPN offers a 30 day money back guarantee. If you are unsatisfied with their features or services for any reason, you can request your money back without any further interrogations. In spite of this, they recommend their users to directly contact them for any issues before you cancel the subscription. They promise to be able to solve 99% of the problems related to speed or connection stability etc. They even offer Remote Setup Assistance via TeamViewer to better understand the problem and solve it remotely with a few clicks. SwitchVPN provides a number of payment methods including Bitcoin which is considered the most anonymous payment method round the globe. Moreover, SwitchVPN accepts Credit Cards, PayPal, Union Pay and Ali Pay. SwitchVPN has a widespread server network having their servers situated in 35 different countries. These countries include the major locations such as USA, UK, Canada, Japan, Australia, Hong Kong, Germany and more. You can download/upload or share torrents or other P2P files connecting to any of these servers. However, no torrent or P2P traffic is allowed on US and Canadian servers. This is done as to prevent their customers falling victim to the surveillance agencies who put heavy fines on IP holders who are found involved in copyright infringement. You can even switch from server to server any number of times as there are no limitations over server switching. With 100+ IP addresses, you can easily evade the geo-restrictions and roam around the digital world accessing different blocked or censored websites. Port forwarding is an especial feature of SwitchVPN. Port forwarding is an application for NAT – Network Address Translation. It simply re-directs any requests from an address and port number to the other through a router or firewall. It is usually used to re-route specific data such as P2P traffic to make your torrenting experience more effective. This is surely a different feature of SwitchVPN. The VPN drop protection feature is used to hide your original IP if for instance you get disconnected from the VPN server. This way, your identity will remain protected from the ever-snooping eyes of hackers and trackers and you’ll be totally anonymous over the web. SwitchVPN uses the highest levels of development using state-of-the-art technologies. This is the built-in feature incorporated with the VPN which assures the user that the services of the VPN are up and online most of the time i.e. 99.99% of the time. Bandwidth and data downloading limitations is a common practice done by your ISP. This can surely be a cause of frustration and annoyance. SwitchVPN provides unlimited bandwidth and no data caps which means that you can upload/download torrents or stream your favorite videos without any obstructions and limitations. SwitchVPN provides a perfect combination of using their services on 5 different devices from a single VPN account. This means you can connect to SwitchVPN using any device of your choice. It can be a desktop, cell phone, laptop, tablet or a gaming console. You just need to set it up, connect and enjoy! Download the SwitchVPN App for your respective version of Windows. Complete the installation procedure and run the Switch VPN App from the icon on your desktop. After clearing the payment procedure, you will receive an email from the provider granting you your username and password. Fill up the necessary information i.e. VPN username, password. Select the protocol and server you wish to choose. Then click connect. Compatibility of a VPN provider is one of an important element for you to consider. As if you have already spend some bucks on a VPN and it fails to meet up the compatibility criterion then it is good for nothing. You must check the compatibility list of a VPN service before giving it a shot. In our SwitchVPN Review, let us list here the operating systems and devices which are supported by this VPN provider. For operating systems, SwitchVPN supports all major platforms including Windows XP, 7, 8 and Vista, Mac OS X 10.5 and above, Chrome OS and Linux. When we look for devices, SwitchVPN have Android and iOS in the list. In addition to this, you can also configure SwitchVPN using PDAs (Personal Digital Assistant or simply a Pocket Computer), gaming consoles like Netduma, Asus, DDWRT and Tomato Routers. SwitchVPN provides a secure connection to its customers. The encryption level they provide is ultra-secure and no any VPN provider is found to provide such a military graded encryption. All the online activities you do are directed through a special VPN tunnel with 1024-2048 bit data encryption while using OpenVPN. The level of encryption differs by the protocol you choose. The protocols support goes the same as any other VPN provider. 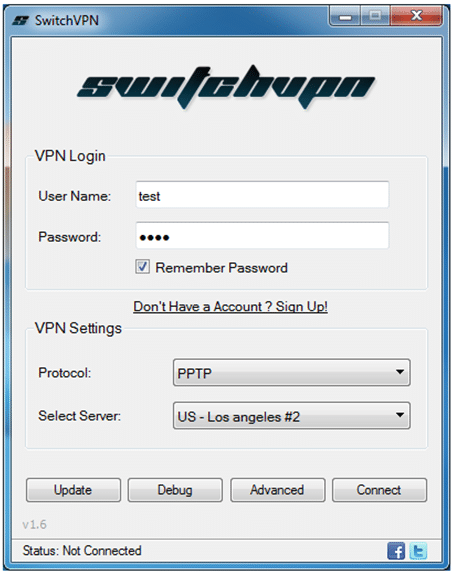 SwitchVPN come supporting PPTP, L2TP, OpenVPN and SSTP. Each of these protocols serves for different purposes. You can select any of the above protocols according to your need. The PPTP comes with the minimum encryption level i.e. 128-bit, L2TP/IPSec provides 256-bit while the OpenVPN proffers 2048-bit data encryption. They even provide an option to correct or remove your personal information which you do not wish to be in record of the website. SwitchVPN respects your privacy by not logging any of your online activities. The information they log is only for troubleshooting and software enhancements. The customer support contains Knowledgebase, FAQ, Live Chat, Skype and Ticketing System. You will find most of the setup tutorials and guides relating to configuring SwitchVPN on your respective device on Knowledgebase. The FAQ section consists of the questions regarding general and basic VPN issues, compatibility, payments and others. You can directly contact their agent via live chat on their official website or getting them live on skype. They also provide ticket system which is also fairly responsive. In case, you are still not done with setting up the VPN and stuck at some problems conjuring it then you can contact their support agents for Remote Setup Assistance through the TeamViewer. This is done by getting into your device remotely and looks into the matter to solve it on the spot. Well, I would like to give the live chat of this VPN provider a Hi-Five as I personally happen to test their Live Chat option. Every time I fell in an issue, they were always there to help me up. Their support agents just take seconds to reply back. Their Live Chat is excellent and truly available 24/7. The website is outstanding providing the most basic information top of the page. All the information on their website is clearly stated with no confusions and mistakes. The server count, features, latest news and updates etc. makes up the first page of the website. 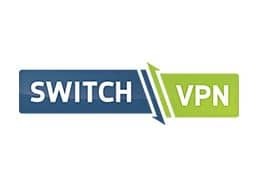 To epitomize the whole discussion here in our SwitchVPN Review, we find SwitchVPN to be a decent VPN service provider in the market till yet. 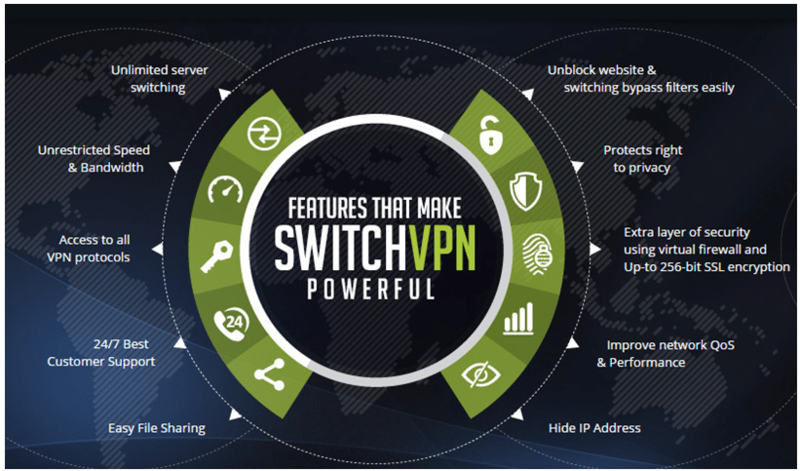 Serving approximately six years in the VPN industry, SwitchVPN provides amazing features to their customers at fast speed. Their customer support and server count is impressive enabling 5 different devices to be connected at a time. The pricing plans are fairly affordable and the software is easy-to-use. Hence, there is no reason left to give SwitchVPN a try!